The goal of Kubeflow is to abstract away the technicalities of managing a Kubernetes cluster so that a machine learning practitioner can quickly leverage the power of Kubernetes and the benefits of deploying products within a microservices framework. 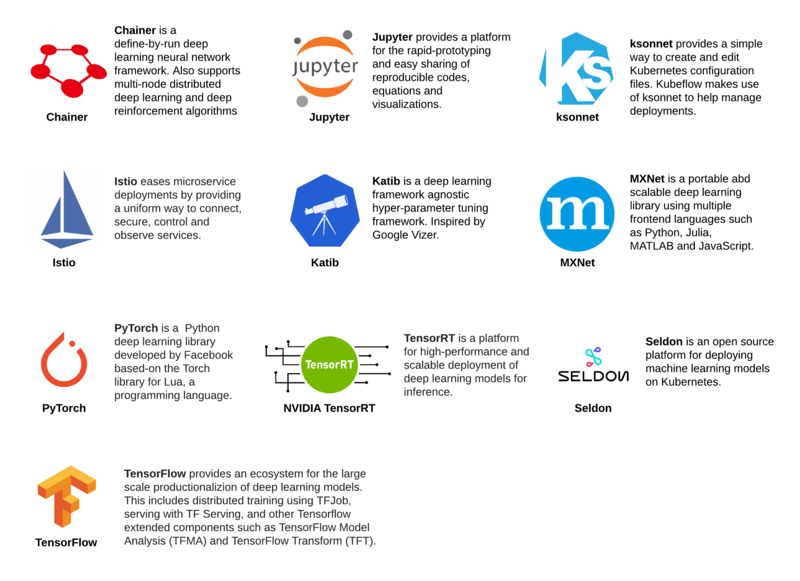 Kubeflow has its history as an internal Google framework for implementing machine learning pipelines on Kubernetes before being open-sourced late 2017. Creating cluster ekaba-gke-cluster in us-central1-a... Cluster is being health-checked (master is healthy)...done. Kubeflow uses Cloud Identity-Aware Proxy (Cloud IAP) to connect to Jupyter and other running web apps securely. Kubeflow uses email addresses for authentication. 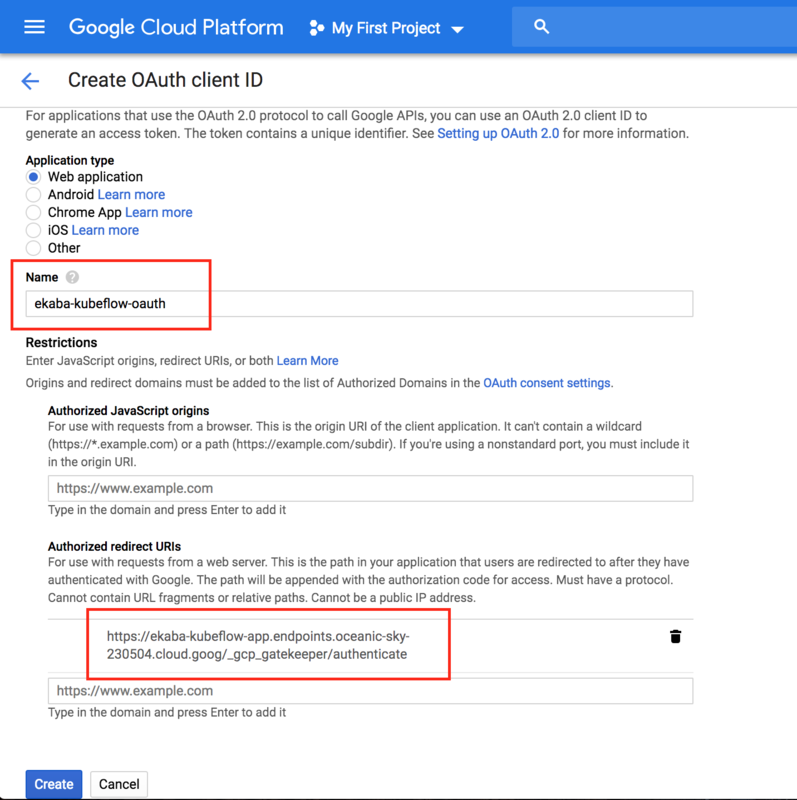 In this section, we’ll create an OAuth client ID which will be used to identify Cloud IAP when requesting access to a user’s email account. 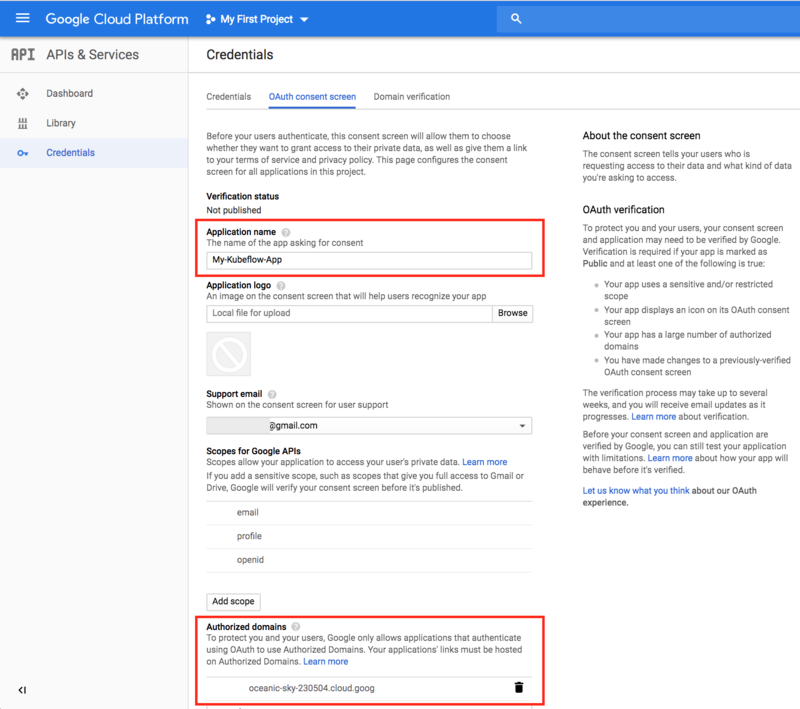 Go to the APIs & Services -> Credentials page in GCP Console. Choose a Name to identify the OAuth client ID. <deployment_name> must be the name of the Kubeflow deployment. <project> is the GCP project ID. Take note of the client ID and client secret that appear in the OAuth client window. This is needed to enable Cloud IAP. # Create environment variables from the OAuth client ID and secret earlier obtained. drwxr-xr-x   6 ekababisong  staff   204 17 Mar 04:15 .
drwxr-xr-x  25 ekababisong  staff   850 17 Mar 04:09 .. Note: It can take 10-15 minutes for the URI to become available. Kubeflow needs to provision a signed SSL certificate and register a DNS name.